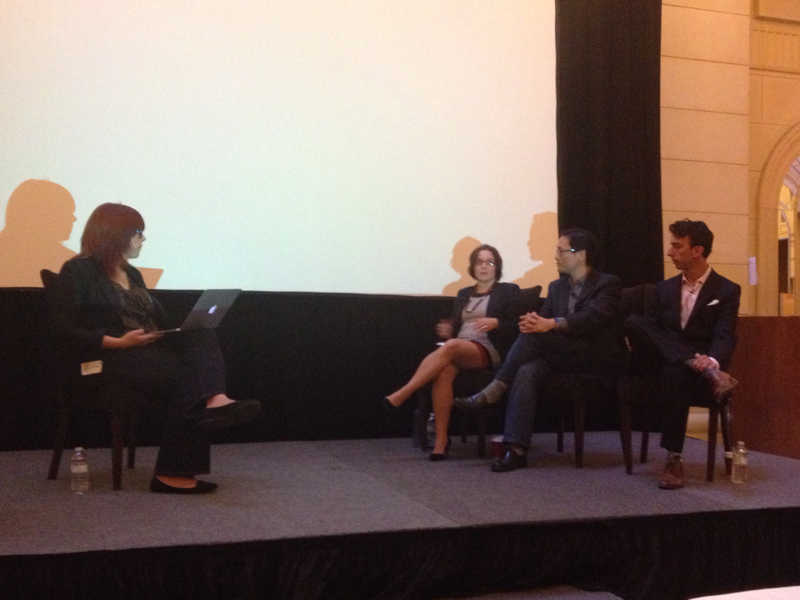 ScribbleLive's own Kim Fox moderates a panel discussion on disruption in the newsroom. Panellists include: David Skok, director of digital, for Global News; Anjali Kapoor, director of News Strategy at The Globe and Mail; and Kenny Yum, managing editor at AOL Canada, where he oversees HuffPost Canada, AOL.ca and AOL’s other editorial properties. We're syndicating this chat today from our friends at J-Source.ca. Eric Mark Do will be liveblogging the panel, and we'll be adding highlights from social media as well. How do you feel about live storytelling, asks Kim Fox. If you're not conveying a story, you're just putting out information. You need to be curating the stream says Anjali Kapoor. You should be looking at how you are fulfilling the jobs that people need fulfilled in their life. If you can do that, people will instinctively pull you in. People don't know what they want until they see it. Fox asks: What's the next disruptor? Figuring out how to grow audience in a measurable way is what keeps @yumke up at night. Growing audience is number 1, says Yum. Q+A time: As part of digital is it a challenge to be an internal disruptor? Global digital team actually broke stories that helped/enhanced broadcast coverage: Skok. That's it for this panel. Thanks for watching!